The 14th West of Scotland Trophy students' golf tournament came to a close today with two wire-to-wire winners in Stirling’s Penny Brown and Jordan Sundborg. Once again Western Gailes was beset by atrocious conditions, the final day proving possibly even windier than the first two. This brought to a close the perfect storm of weather throughout the competition and in which every player’s performance was to be commended. That would prove to be as close as Hazel got as back-to-back bogeys saw both players turn in 41. Two birdies on the back nine from Penny closed the door on the competition and only a double bogey on 18 prevented her from being the only player to shoot in the 70s each day, a back nine of 39 seeing her sign for an 80. Her final score of 235 gave her an eight-shot winning margin. 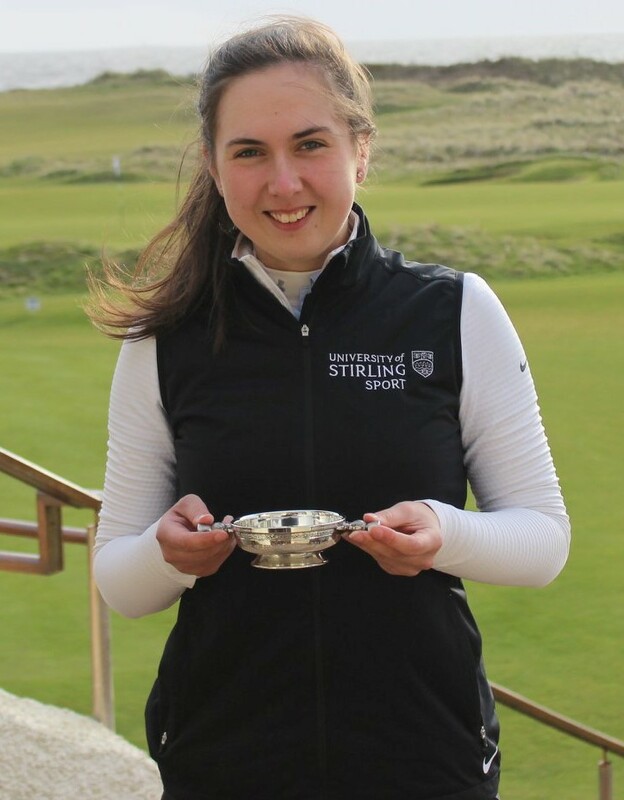 Behind the two leaders, Mirren Fraser (Stirling) rounded out the top three, an 82 to match her first round concluding a very solid week of performances. In the women’s team competition, Stirling I were the runaway victors, beating their own third team by 33 shots. In the men’s competition, overnight leader Sundborg (pictured left) was defending a three-shot lead over West of Scotland’s Kieran Quinn. However, it was the men who started the day in third place who were the early challengers. 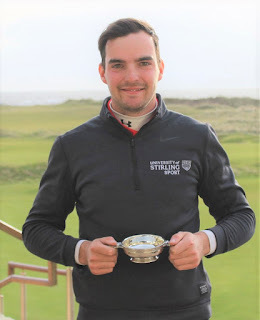 With Jordan starting double-triple, his lead on the third day was down to one as Ali MacDougall (Stirling), along with Colin Edgar (Stirling) and Conor Rochon (St Andrews) tried to put pressure on the leader. A par at the third for Sundborg steadied his round, and he did not drop another shot until the 11th, by which time he added a birdie to seven pars. This saw his lead stretch to five shots, a lead he would not relinquish despite five dropped shots over the closing four holes. The big mover of the day was Stirling’s Matt Bell, who made four birdies in a round of 75. This saw him leapfrog MacDougall and Edgar into second place, just two strokes behind the eventual winner. In the men’s team competition Stirling I were again victorious, five strokes clear of their 2nd team. The students' Tour next moves to Lossiemouth and Moray GC, for the Scottish Student Championships from the 24th-26th March. Full results from the 14th West of Scotland Trophy are available on GolfBox.